1. 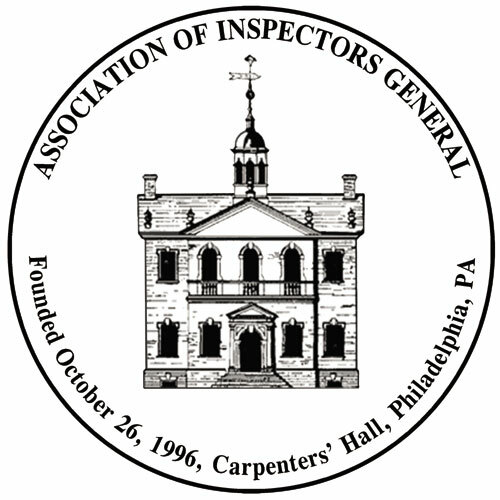 Steven Pasichow (“Steve”), Chapter President, called the meeting to order at 10:05 a.m. Steve welcomed all to the Board Meeting of the New York/New Jersey Chapter (“Chapter”) of the Association of Inspectors General (“AIG”). Participating on the telephone were: John Curry and Stephen Hamilton. Not in attendance were Kenneth Donohue, William Courtney and Robert Tarwacki. 3. Steve stated that we currently had 83 Chapter members, which is down 30 members from last year’s total. We also have 251 student members from John Jay College. The membership renewal is taking place in July 2017. We will look to see if there is a pattern or explanation for the 30 people who did not rejoin, and see if we can encourage them to rejoin. All Board members were asked to try to encourage others to join the Chapter as well. Steve also said that as of November 2016, we had $16,384 in our AIG Chapter account. We can expect an increase in that amount when the payments come in for the membership renewals. 4. Steve reminded Board members that last year we voted to start charging non-members for training the Chapter provides. The Chapter has been working with the New York State (“NYS”) Comptroller’s Inspector General and the Office of Special Investigations for the NYS Department of Corrections and Community Supervision (“DOC”) to schedule a training seminar on Advanced Interviewing for Audit and Investigation Professionals in Albany, NY. Originally, the NYS Comptroller’s OIG was going to pay the costs for the presenter, Mark Anderson and we would charge non-members of the Chapter $25. A last minute NYS budget freeze has tentatively canceled that training. Therefore, Steve presented the idea to the board members, of the Chapter picking up the cost of the training. A discussion ensued on the pros and cons. Since there are very few Chapter members in the Albany area, and that with the budget freeze, agencies would not pick up the training cost for their staff, individuals would incur the costs personally. It was felt by many Board members that charging for the training would have a negative impact on the number of attendees. The question was discussed about the Chapter paying for the training. A motion was made for Steve and Stephen Hamilton to speak with Mark Anderson and negotiate a reasonable fee, and then, not to charge non-Chapter member attendees to the Albany training course (waiving for this training only, the policy of charging non-Chapter members). The matter was then put to a vote. By a show of hands, all approved the motion. 5. The next order of business was to discuss the upcoming Summer 2017 AIG Institute (“Institute”) that is occurring in August at John Jay College. Phil Zisman (“Phil”) mentioned that there is a new hotel that is offering competitive rates for attendees. There are numerous attendees so there may be two parallel classes to handle the number of the attendees. We discussed the possibility of also providing this as a webinar, but there are technical challenges to this. The Chapter is assisting Phil on the planning of the. There will be two concurrent sessions for CIGI® to accommodate 75 investigators from the New York State NYS DOC’s Special Investigations Division and 65 other investigative attendees. There will also be a CIGA® for auditors. Phil is going to send out another invitation for people to attend the Institute. Phil said that Bill Jorgenson now handles training for NYC Department of Investigation (“DOI”), and DOI may send a number of people to attend the Institute. Military IGs from all around the world will be sending attendees. The Department of Homeland Security is sending between 10 and 15 auditors. After each Institute has been completed, the instructors are rated. This helps insure that the Institute maintains only the good instructors. The auditor course is more rigorous. 6. The next item was training in Trenton, NJ. There is nothing scheduled yet. Steve will speak with the folks in Trenton to see what training they may be interested in. 7. We then discussed working with National to schedule a Job Fair type session for the 251 student Chapter members who are graduate students at John Jay College. Chapter members who are in the oversight field will volunteer their time to meet with the students and discuss their respective agencies, careers, and answer any questions the students might have. 8. We have not yet done much work on the AIG website. Steve said that he can have someone start working on this. It would include press releases, news, descriptions of public cases, etc. Steve encouraged Board members to send him press releases, news articles, bulletins, and other publications that cover their offices’ work. 9. Steve adjourned the meeting at 11:00 am.